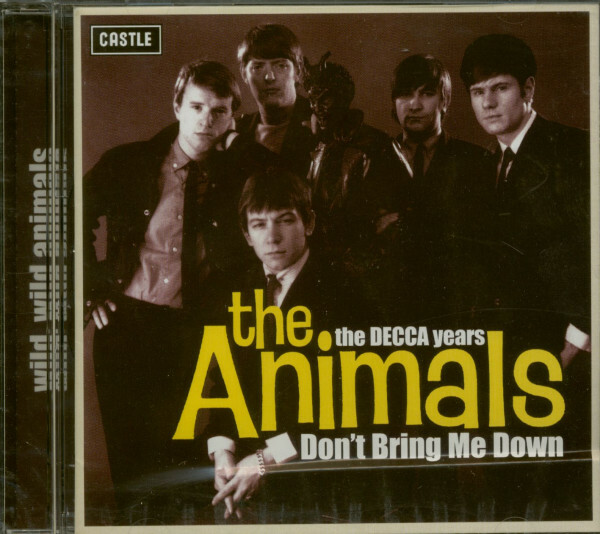 (2003/CASTLE) 22 tracks When 'The Animals' split with producer Mickie Most and their label, Columbia, in late 1965, they promptly signed with EMI's biggest rivals , 'Decca Records', appointed American Tom Wilson as their new producer, and continued their run of success. 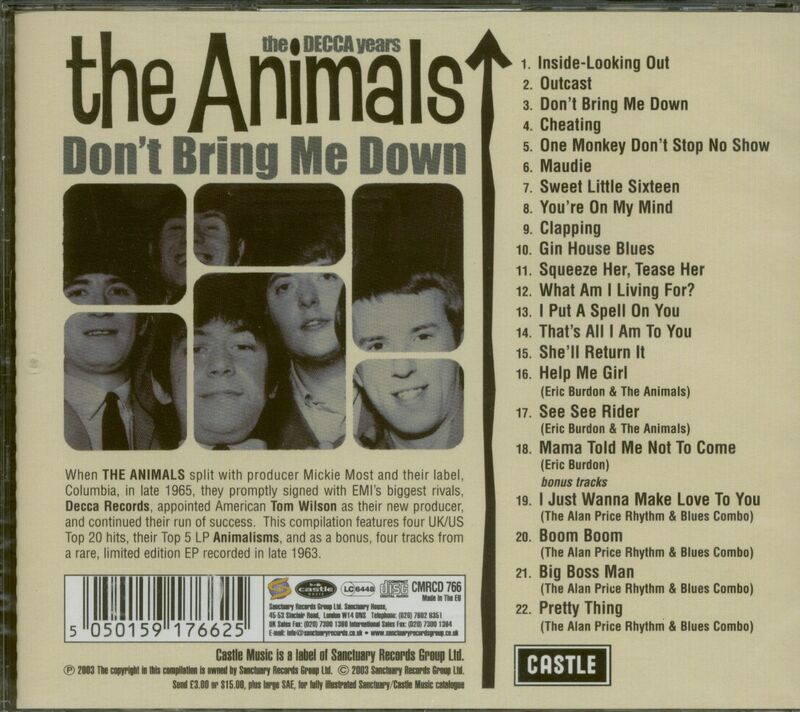 This compilation features four UK/US Top 20 hits, their Top 5 LP Animalisms, and as a bonus, four tracks from a rare, limited edition EP recorded in late 1963. 12 What Am I Living For? Customer evaluation for "Don't Bring Me Down - The Decca Years"